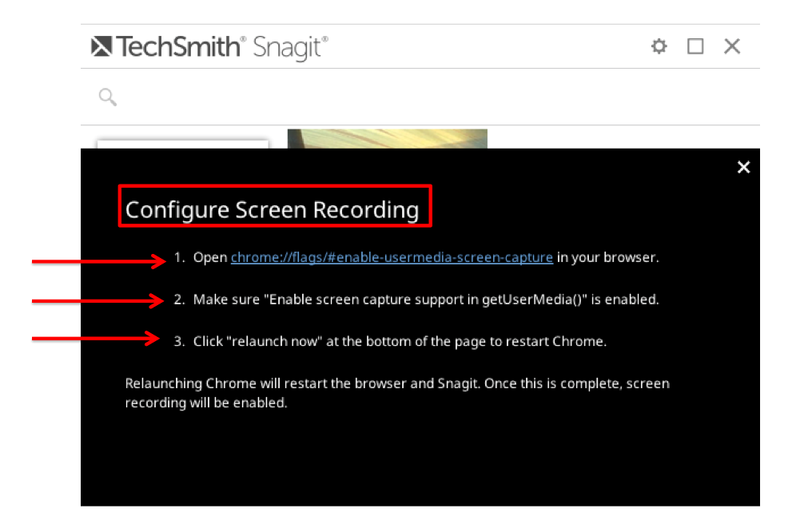 Did you know that you can now use TechSmith Snagit to create a screen recording in Google Chrome? It's a new feature in Snagit Beta and all you need to do is turn it on to use it. In addition to creating screenshots, Snagit now has the ability to create screencasts with its new features in Snagit Beta. This is awesome because until now, most of us used Screencastify which is one of the only screencasting extensions that works with Google Chrome. TechSmith delivers some great products such as Camtasia, Jing, and others. But now it offers screencasting in Snagit ... for free! To get started using Snagit Beta, you will need to search and connect both the TechSmith Snagit App and Extension in the Chrome Web Store (see image below). After you have successfully installed both the Snagit App and Extension, click on the Snagit Extension icon in your Extensions tool bar in Chrome. Next, click on the "gear" symbol to get to your settings in the Snagit Extension. In your settings, check the box that reads, "Enable experimental features". This will enable "Beta" mode in Snagit which will allow you to create screencasts (see images below). 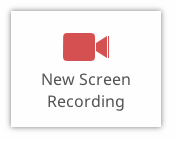 Then, click the New Screen Recording button. This will prompt the Configure Screen Recording window to appear. Follow the three-step directions in this window by first clicking on the link in step 1. This will take you to the page where you can "Enable screen capture support". After you check this box, you will need to click "Relaunch Now" at the bottom of the page to restart Chrome (See images below). After your Chrome browser successfully restarts, go back into your Snagit settings and click the New Screen Recording button. 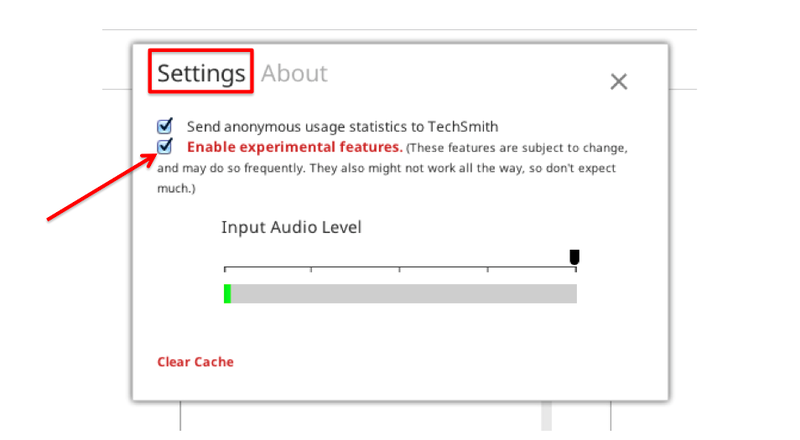 This will prompt a window to appear that will read, "Do you want TechSmith Snagit to share your screen?" and you will need to select "Yes" (see images below). As soon as you select "Yes" you will begin to share your screen to create a screencast that will automatically be saved in your Snagit app. This is a great video from the guys at TechSmith that will walk you through this process creating a Snagit screencast from start to finish. Checkout the video for additional support. The next time you are using Google Chrome and find yourself needing to create a screencast, consider using the new Snagit Beta to create your screencast. If your school is using Chromebooks, Snagit is a great tool to use to create screen recordings for teaching and learning.